La Roche-Posay's skincare products make up decent chunk of my skincare regime and I always rely on them to keep my skin happy. Affordable yet effective, their fuss-free formulas skip the gimmicks and focus on results, so I always get excited to see what they bring to the table next. I was lucky enough to be sent their latest release, the La Roche-Posay Effaclar BB Blur* and, after using it for a couple of weeks, I just had to share it with you. Slotting nicely in to the brand's Effaclar range, La Roche-Posay have tailored their BB cream-mousse hybrid to oilier skin-types. Combining skincare benefits and makeup in one, this new product is aimed at protecting the skin with SPF 20, providing a sheer coverage to blur imperfections and regulating oil throughout the day, preventing shine. As with the majority of the brands' products, the BB Blur contains no fragrance. I have to admit, when I first squeezed out some of the mousse on to the back of my hand, I was dubious. With a thick, mousse-like consistency, it's reminiscent of the horrendously bad Maybelline Dream Matte Mousse, in texture. Thinking it may be similar, I expected the mousse to look heavy and cling on to any dry areas of skin for dear life. Fortunately, my presumptions were totally wrong. Harnessing the power of Airlicium which can absorb 150 times its weight in oil and Perlite, which acts like blotting paper, this base is a god-send for anyone who finds they need to touch-up their makeup constantly, thanks to their oily skin. Silicone-based, the finish has quite a slippy feel which prevents it from feeling too tight or drying. Smoothing on easily, it blends in seconds and straight away, skin is mattified and imperfections are blurred to create a velvety-smooth canvas. It really gives the complexion an airbrushed finish, without an obvious, cakey layer sitting on the skin. Surprisingly, it's easily build-able as the mousse doesn't set like cement and become difficult to blend and layer, like most bases designed for oily skins do. As my skin is more on the normal/dry side, I layered the BB Blur over my usual moisturiser, the La Roche-Posay Toleriane Riche, to give my face an extra boost of hydration. But, it can be used as the last step of your skincare routine. With a whipped, weightless texture, it feels very light on the skin and you could be fooled into thinking your face was bare. Great for those 'no makeup' makeup days, definitely. As my skin isn't too oily, I don't need to set the BB Blur with a powder and it is guaranteed to last all day. But, those with a very oily skin may want to, for extra longevity and peace of mind, especially in any areas concealer is applied over the top. The only downside of this BB mousse is that I find I need to use quite a lot of it to cover my whole face, as it does melt into the skin quickly. Compared to other BB creams, I'd say this product has more coverage than most. Toning down any redness and camouflaging imperfections, it evens out the complexion without completely hiding it. Stubborn blemishes will need an extra layer of concealer, but applying other, cream products over the top does stop the oil-absorbing element from working quite as well. 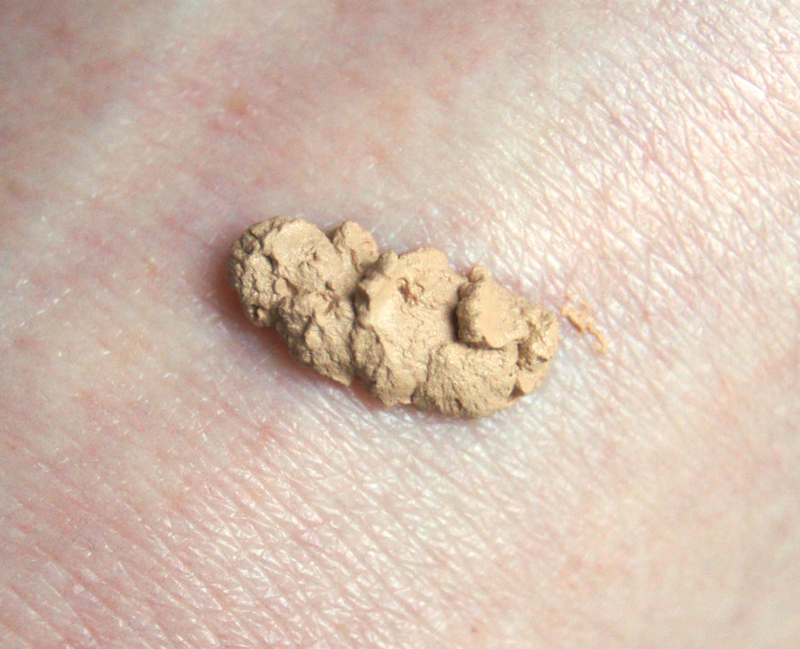 Inititally, the cream looks quite dark, but the pigment sheers out and matches you skin-tone as you work it in. At the moment, I'm at my palest and the Fair/Light shade complements my skin perfectly. The only other shade currently in the range is Light/Medium, so if you have a darker skin-tone you'll struggle to find a suitable colour-match, which is such a shame. If you read the beauty bumf on the box, you're promised a base that will absorb oils and keep your makeup looking shine-free all day. 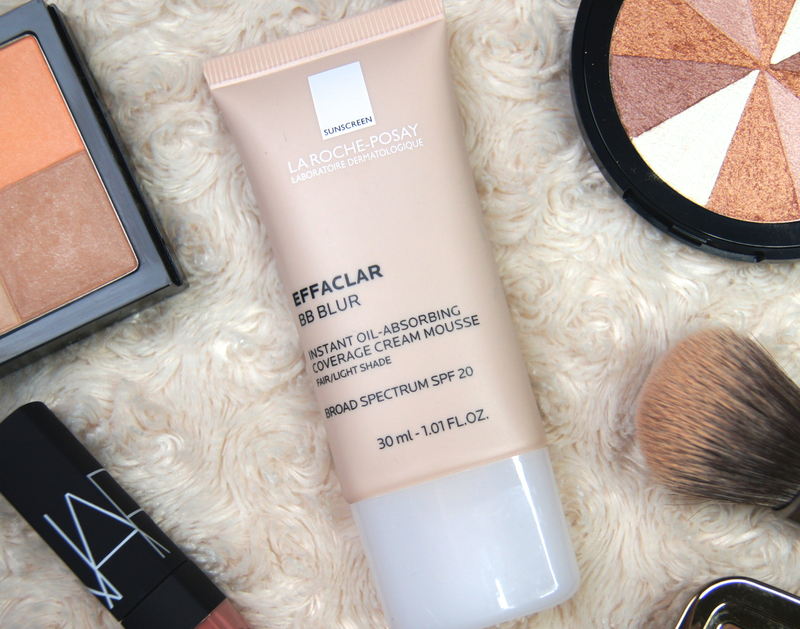 Thankfully, La Roche-Posay aren't a brand that go back on their word and the Effaclar BB Blur lasts really well. Only after about 5/6 hours did I start to notice minimal fading on my chin, but everywhere else stayed looking perfect. Normally, I keep tabs on how my makeup is doing throughout the day as it can start to disappear around my T-zone, but I didn't need to worry when wearing this. Seeing as my skin isn't ridiculously oily, I don't think I really saw the extremes of how well it could perform. But, if my experience is anything to go by, I'm sure it will be popular! Priced at £11 for 30ml at Escentual (although the RRP is £16.50), La Roche-Posay's BB Blur is an affordable option for a light base. If you prefer a matte finish to your makeup, this will be a welcome addition to your makeup bag and, if you've got super oily skin, this is definitely a must-try! Have you tried La Roche-Posay's BB Blur yet? i've been reading a couple of reviews of this one online and it seems to be such a nice product. i don't have oily skin but its worth a try anyway. great review! I've only ever tried the sunblock from the brand and I really loved it! I use quite a lot LRP skincare, especially from the Effaclar range, but that one has escaped my attention so far. I will see if I pick it up come summer. I'm definitely going to take a peek at this! Great review Alice! 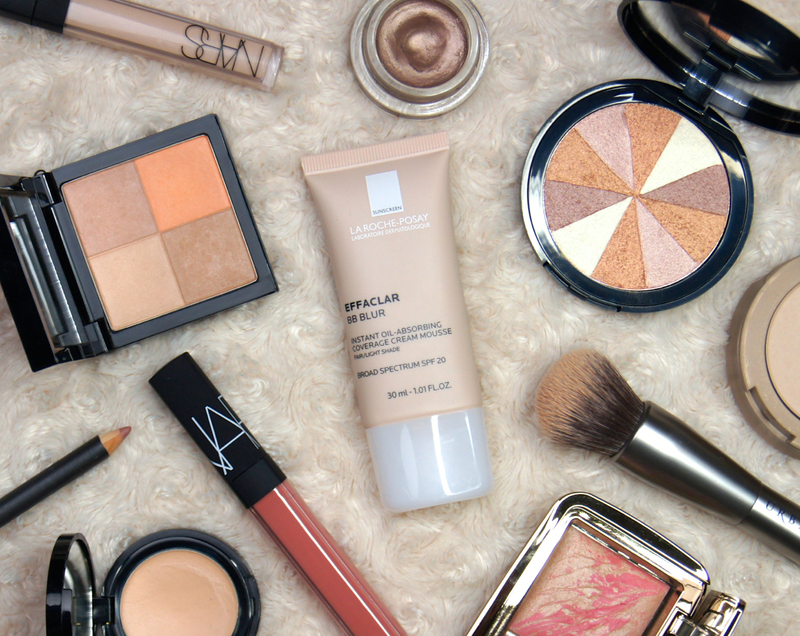 It sounds great because you don't often hear of bases that are, lightweight and matte at the same time. Great review lovely! <3 I've been using this for the past week or so and I'm really liking it! I was enjoying the sound of this from start to finish, about it add it to my shopping list, until the lack of darker shades part. That's so disappointing. La Roche Posay is a popular and successful enough brand by now that they could produce a more inclusive range of shades, especially considering darker complexions are far more prone to being oily. I might be able to get away with the medium shade myself, but so many others won't. It sounds like a beautiful product though overall, especially considering the texture and coverage. This is such a good review!